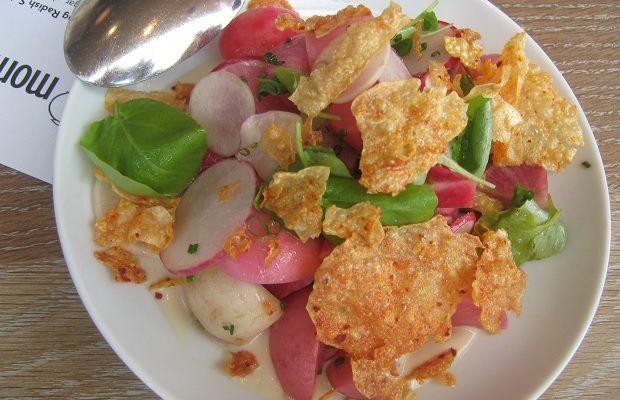 The wines of Stratus Vineyards and the cuisine of Momofuku Toronto. On Monday, May 26th and for the second straight year they conspired together in a beautiful collision of mutual beneficence. The single varietal mad science of winemaker J-L Groux and the singular, multifarious snacks of Momofuku Daishō. 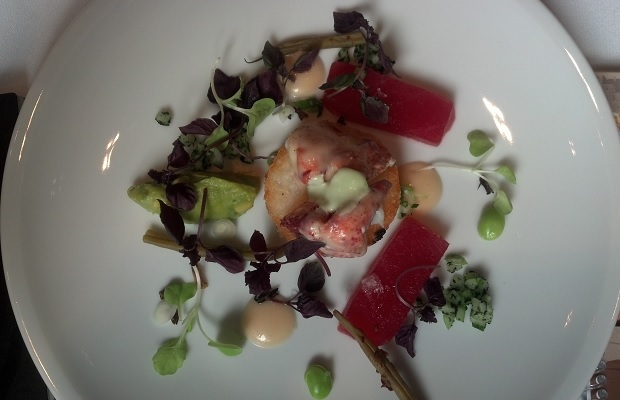 The food and wine play leaves wine writers satiated, thankful and speechless. This 2014 media lunch dubbed Stratus, the right to free assemblage forged yet another treat of the highest order, once again with the necessity in participation of Charles Baker, Suzanne Janke and Sarah Walker of Stratus, along with Momofuku Beverage Director Jonathan Gosenhauser, Service Director Steve De Sousa, Assistant FOH Manager Nicholas Papadatos and the Daishō team. At 13.9 per cent the kitchen sink blend is unwittingly light on its feet, with uplifting floral and stony scents. The patronage seems as though it could be a shot (or more) of an aromatic white addition like Viognier. This ’13 is a new approach to the Wildass Rosé, a metallic meets orange and berry citrus flavour explosion. Will be an August VINTAGES release at this modest and honest tag, certainly more accessible than in years past. Technically Niagara Lakeshore but labeled Niagara on the Lake, winemaker J-L Groux insists this is the anti-New Zealand Sauvignon Blanc, a truism to get behind in this ’11’s more tropical style. “Depending on the year we adapt to the climate,” so here J-L’s classic boxwood seeking stands out. The combination of picking time and barrel aging on the lees has everything to do with style. 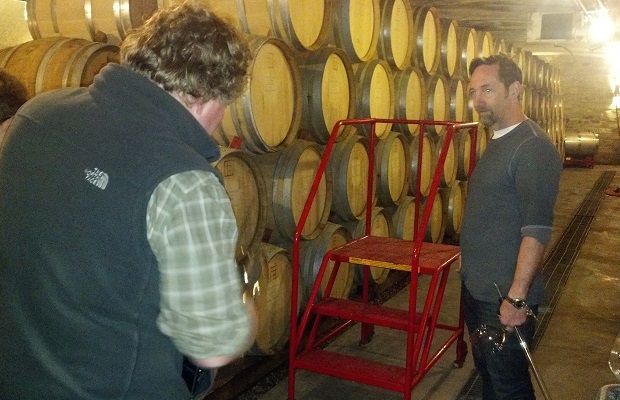 The Stratus hangs (picked October 11th) and hangs out (641 days in French oak). Shows off the most metal mineral that Niagara can give to the variety, from a season with a totally rainy spring and fall but a torrid summer in between. “On whites it was certainly a better year to work with,” though the lack of acidity is due to a wet fall. It’s high-octane, “I’m not running after alcohol. I’m picking on aromatics. If I’m making barrel aged Sauvignon, I have to be patient, otherwise it’s not worth putting in barrel.” Nutty, toasty and full. The middle reaches for the end in an elastic and stretched full chain and connection. Rounder as opposed to acidic, it’s character comes by way of a periodic, numbers game in aromas. Zero hay, high phenols, very ripe. The warmth of those July and August days has brought a combination of grapefruit and honey to the 2011 Sémillon, a highly aromatic vintage. Typically you don’t have very high acidity with this variety and though this was a difficult vintage to work with, here it teases late harvest, straight from the hip. The in-glass progression scales back and walks the wire with semi-high (6.9) acidity. “With illusions of someday, cast in a golden light,” the ’11 Sémillon will need time to marshal the erudition of (627 days) in barrel. At present the tragically declared fact that 24.6 brix equates to 11.6 per cent alcohol might just be lauded as another conversion rate, ahead by a century. A variety that can be picked much earlier than others, like Cabernet Sauvignon and Cabernet Franc. Do the aromatics do Sangiovese? Yes, but in a mutated, concentrated and highly floral, expressive way. Clean, clear and embossed by surprising freshness and purity. The notes of typicity involve red fruits and a scorch of the earth. Handsome Sangiovese actually, anything but rustic and of a middle fleshing that threshes to mulct a citrus note on the end. 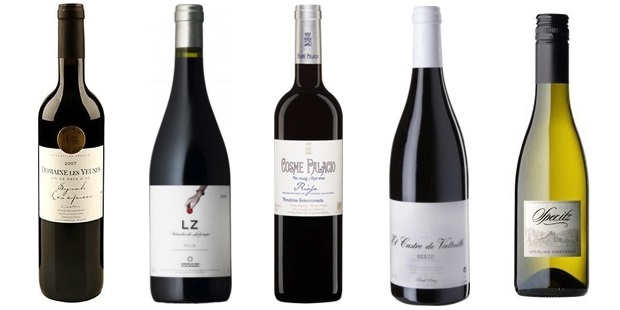 This effort shows the most promise of the three expatriates (along with Tempranillo and Tannat) vying for J-L Groux’s new slang, varietal attention. Were Rioja to come and take over Niagara this introduction would succeed in fulfilling expectations but not necessarily dreams. I will confess that it functions in ways California (where it’s simply too warm in places like Paso Robles and Santa Barbara) does not. Likewise Australian takes (“cool” Victoria and New South Wales) have yet to convince. 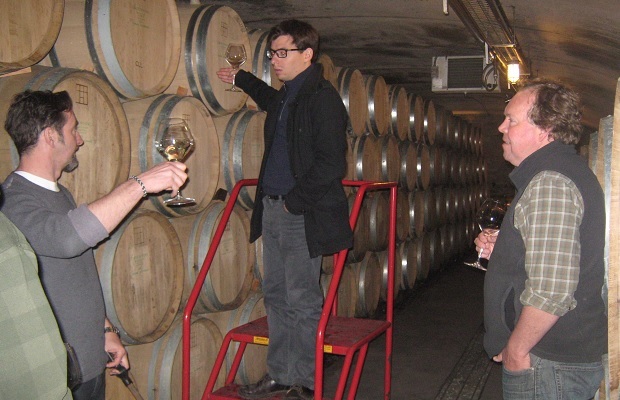 Niagara’s climate is not such a stretch (though in most vintages too wet), but in 2010 the conditions were ripe for this experiment. The wine is admittedly lumbering, backward and chunky. It has that dusty, nearly funky nose, but it should be extolled in the name of character. High on vineyard aromatics and the density of wood, in ways so much more defined than the Sangiovese. Strangely Riojan and tasted blind would make for a curious ringer. Not huge by any stretch and blessed with good acidity and persistence. The wooden slumber (555 days) in 50 per cent new oak is just what the dark-skinned grape doctor ordered for the Niagara debut. You know it will be pitchy and tannic but the goal is to be looking for some striking acidity and balance of concentration. Violets are prominent in the highly floral aromatics. There is certain density and fine structure and so while Tannat is an integral Stratus assemblage variety it shows here that it can be very expressive and long on its own. Perhaps the equal of Malbec for Niagara and with great potential. If the Stratus 2010 Malbec’s blue note belted out Philly Soul, the delicacy and structure of the ’11 plays a softer sound, a Stax, Memphis Soul. Stylish, funky and uptown without conceding to pop. Active but with less brawn and higher acidity than previous years. An and now aromatic session of so much tobacco and even more cigar box, in wafts, waves, puffs, billows and club clouds of smoke. A soul jam of black fruit, Booker T. finger roll acidity and tannin. The declared alcohol on this is 14.6 per cent but to all of me, that is really hard to believe. Really elegant, 100 per cent Cabernet Sauvignon, perfectly unabridged in phenolic ripeness but in such fine rhythm and blues. Were it a score it would be euphonious without encumbrance and void of splinters. The most subtle and gentle J-L Groux crafted red wine I’ve yet to encounter, with a back palate combination of mushroom and citrus to follow pure red fruit. Resoundingly circular with curves, no hard edges and “perfect imperfections.” This Cabernet goes at it with Graves character and poise. It will be a Niagara legend. Early harvested and vinified with the least amount of winemaker intervention, this is Gewürztraminer left to find its own way. In 2012 the natural sugars speak in clear and clean tones without needing too much attention. Has the most off-dry sensibility yet. It’s very floral, nearly medicinal and tacking. A zigging and zagging Gewürz, wavering, weaving, oscillating between its personalities, on one hand new and progressive, on the other, a nod to Alsace. There is really nothing dry about it. Dense on the palate, this Stratus single white varietal is textured and quickly making friends. The 2010 was the first and only one made at the time. When asked if he would make one again, J-L Groux replied “perhaps.” Well, three years later the 2013 enters considerably drier than that ’10 but full of stone tree fruit. 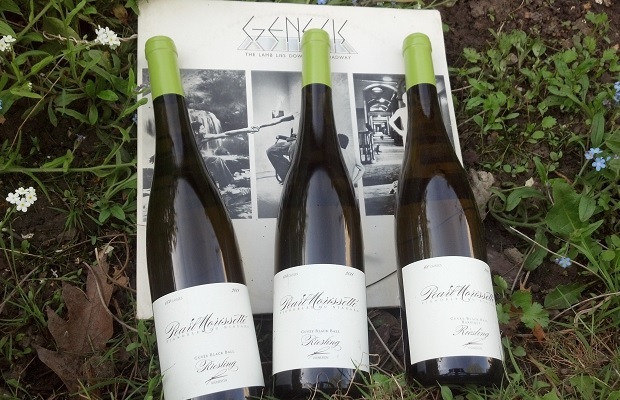 The profile here is so different, now Gewürztraminer (78 per cent) dominated, with less residual assistance from Riesling (17) and Sémillon (5). The aromatics are medicinal and ashen before the attack turns so palate sweet, in marmalade and with a finish of noble bitterness. Tasted blind this non-clarified sticky is high on grapefruit for sure, smells (for a fleeting moment) a bit like cat pee, is decidedly smoky and once again, is grapefruit all in. Stony sauternes, Niagara style. This can be used to great advantage. With 70 plus g/L of residual sugar and 7.9 of total acidity the sugar-acid continuum is expertly lucky. The grapes were picked on December 14th, causing another exclamation of WTF? Really delicious. Really. 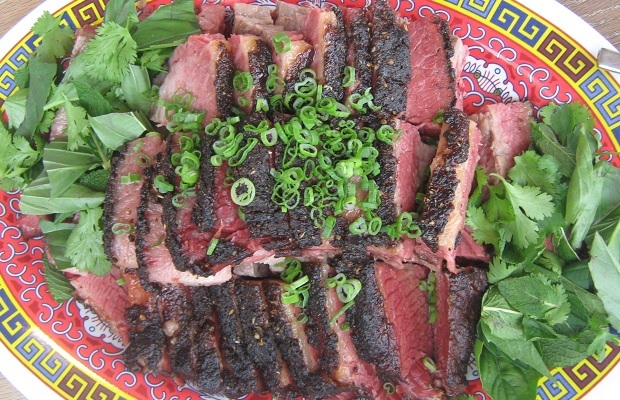 Following the single-varietal tasting, Momofuku Daisho rolled out eight signature dishes. These are some of my favourite things. 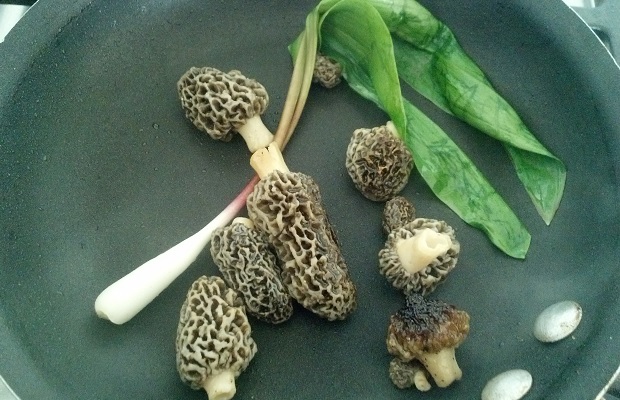 Wild edibles foraged from the duff in spring. 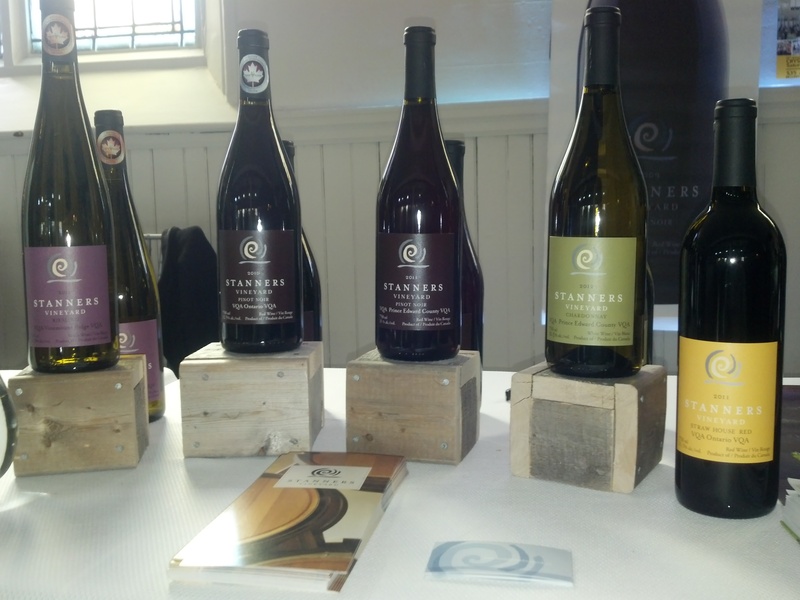 Earthy red wines cultivated from healthy vines. 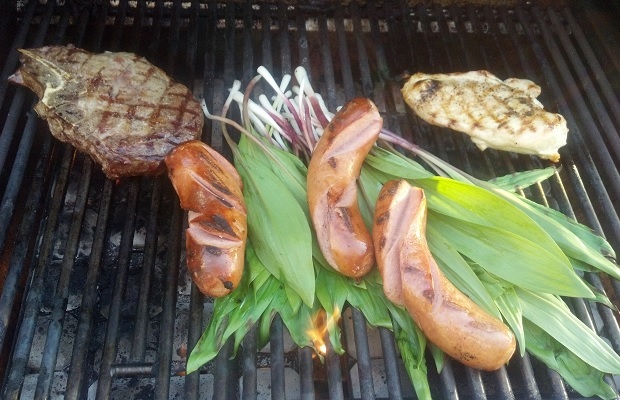 Protein grilled on an open flame. Layered dishes baked in the oven. Baseball. 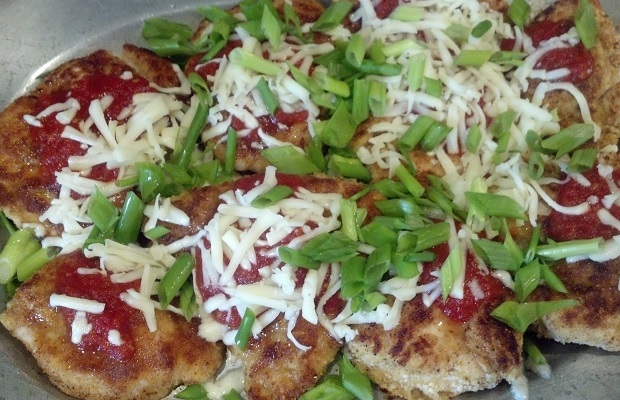 Gather them all together, add in some warm weather and the recipe is dressed for success. 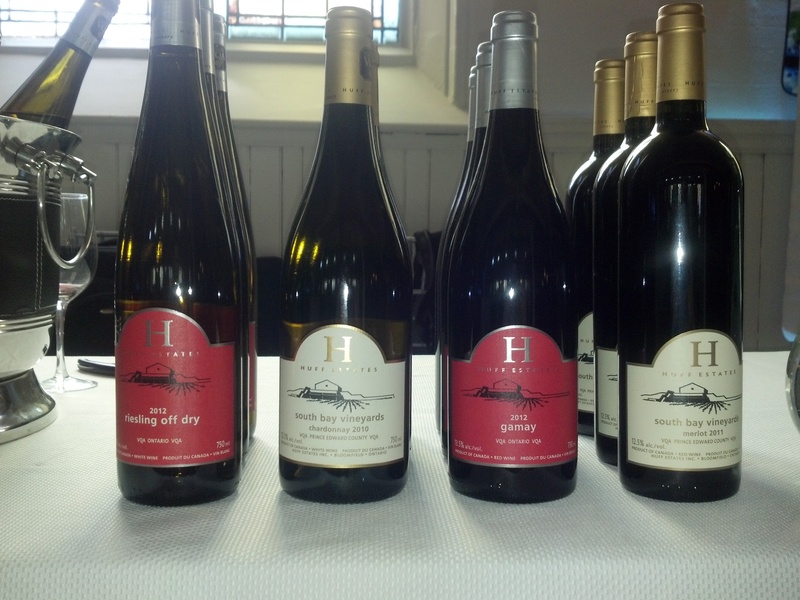 This past weekend VINTAGES rolled out the May 24, 2014 release. I touched on some good value whites last week so now it’s time to roll out some full-bodied, protein friendly reds. Get these four red hots in stores now. These numbers come from a calculator, designed by VQA and the LCBO themselves that gives you the breakdown, once you enter the retail price. François Morissette has that crazed look in his eye. The Quebec native faces the professional fight of his young winemaking life and has no intention of backing down. There will be no compromise of the viniculture oeuvre. 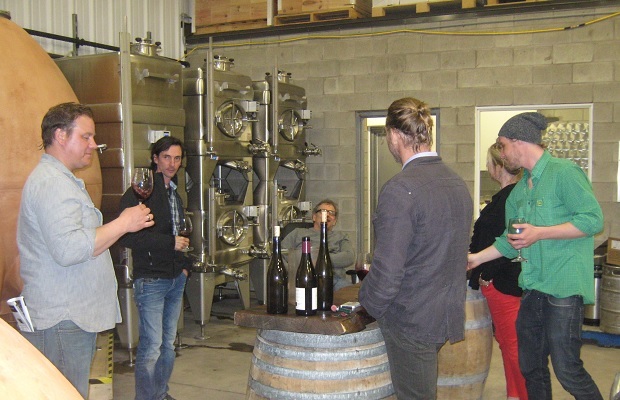 Morissette’s day in, day out plight has been instigated by the Vintners Quality Alliance (VQA), the regulatory board that determines whether or not a wine made in Ontario gets its stamp of approval. It has already happened four times. 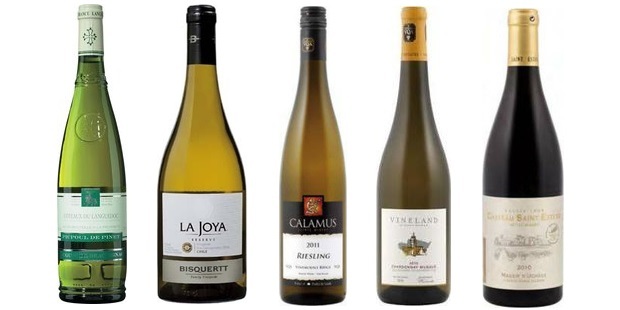 VQA has rejected his Rieslings. The pearl Morissette Cuvée Blackball Riesling 2011 is a $26 (retail price including bottle deposit) non-VQA bottle of wine and so the winery’s profit (before operating and production costs) is $12.98. Do the math. Sounds like a loss leader to me. 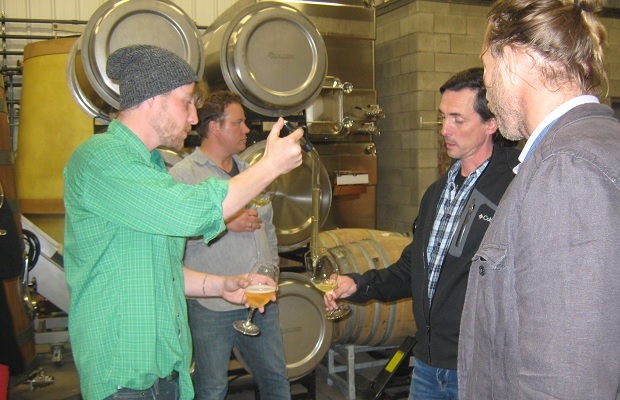 In July of 2013 at the i4C Cool Chardonnay Conference in Niagara, Francois expounded on some of the more important facets of making wine in Ontario. “Climate is the number one terroir driven aspect. The clone is nothing without the rootstock. 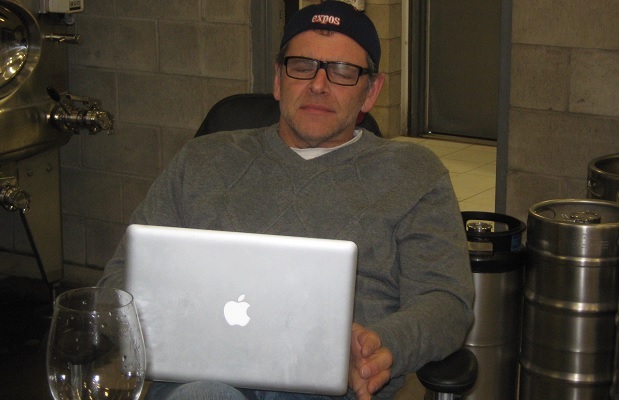 They are inextricably linked.” He is a man who believes wholeheartedly in natural acidity. “You will have riper fruit on dry matter.” These are the ideas of a “rebel,” of a winemaker willing and ready to push the envelope. “I cannot ever apply what I learned in Burgundy as a farmer to Niagara. 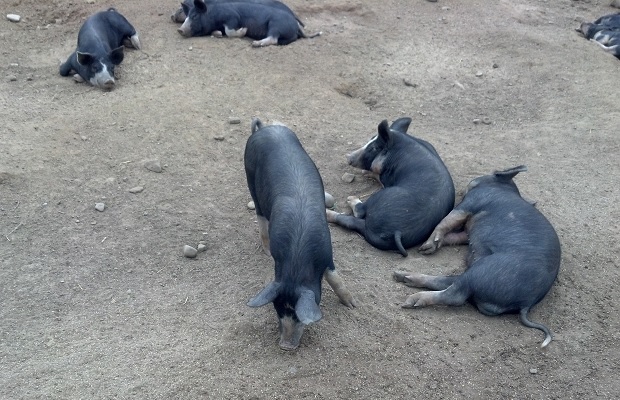 It’s a totally different animal.” These are the words of “pot-stirrer” Francois Morissette. Atcheva spoke at length this past weekend with a senior LCBO product consultant who elaborated on the selection process for the VQA panel. 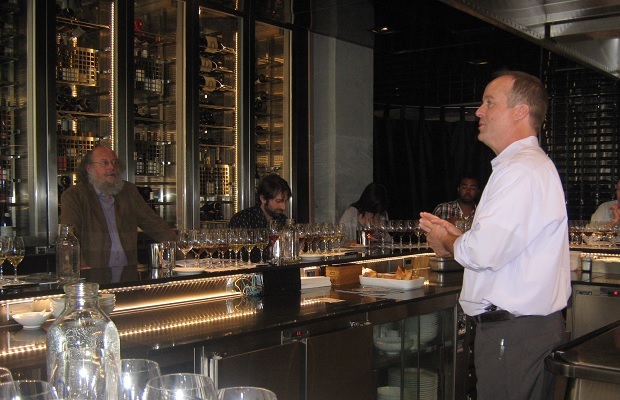 Up until a few years ago panel members were chosen based on their tasting experience. Today seniority lands spots on the tribunal. Work an LCBO cash for fifteen years and you too can decide the financial future of an Ontario winery. 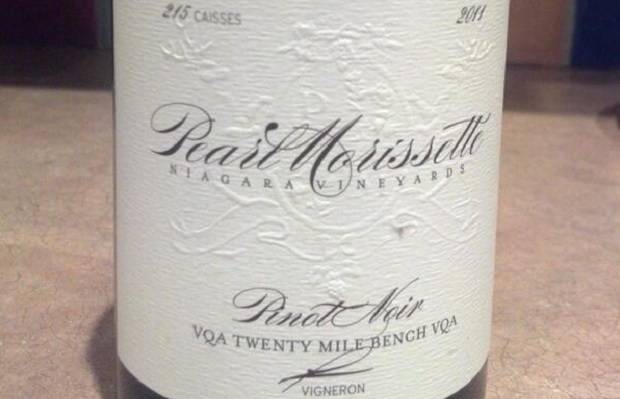 For a full account on VQA evaluation processes and the rejection of Morissette’s wines, read Rick VanSickle’s article, The ‘black-balled’ Riesling from Pearl Morissette in Niagara and the storm that’s brewing over VQA rejection: Let’s talk about it. 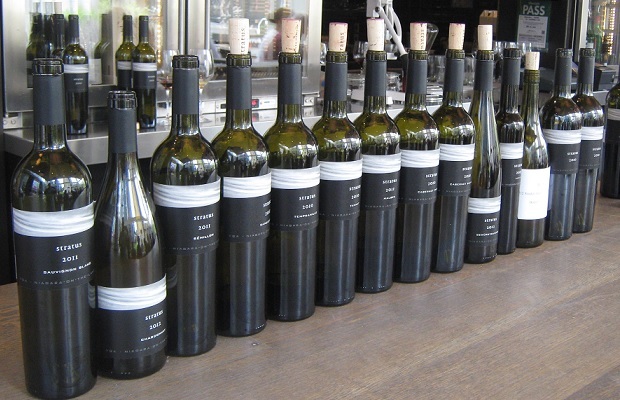 Another response by Tim Reed Manessy brings the VQA system’s shortcomings into proper focus. 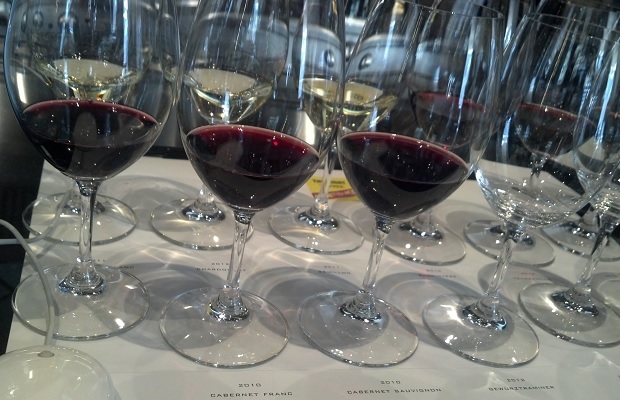 Behind the ‘Black Ball’ is Manessy’s take on his blog, Somm on the Run. 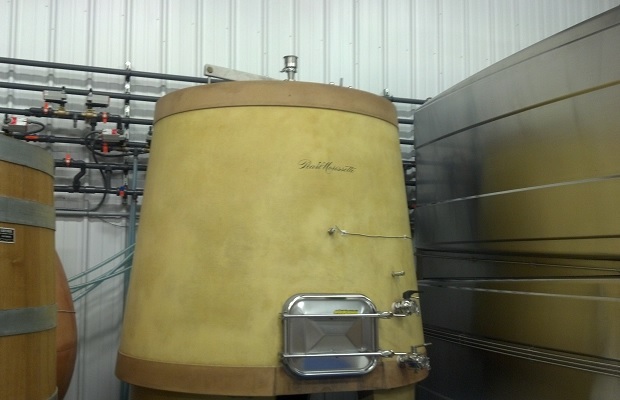 Through the generosity of François Morissette, Naomi Laurie, Ryan Corrigan, Cameron MacDonald and Svetlana Atcheva I have had the opportunity to taste, consider and assess the wines of Pearl Morissette out of tank, barrel, concrete egg fermenter and bottle on several occasions in the past year. Here are my notes on many of those moments. More often than not the Canadian May long weekend does not fall on the anniversary date of May 24, in remembrance of the 1819 birthday of Queen Victoria. In fact the last time the holiday Monday fell on the 24th was back in 2010. The not so phenomenal phenomenon happens every five or six years and the 24th never occurs before the Monday. So what? So, VINTAGES gets it right. The latest stop on the release calendar axis falls on the true May two-four, this coming Saturday. 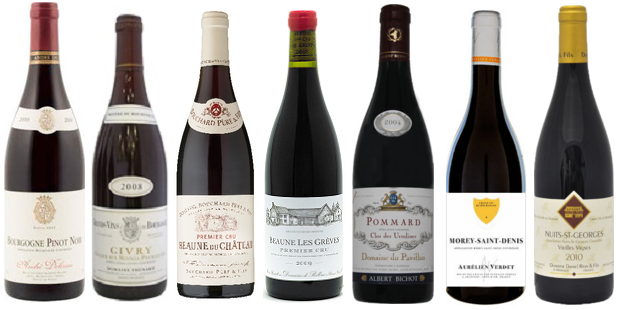 The May 24, 2014 release puts a heavy emphasis on the southern Rhône, a region that regrettably has lost its balanced way; to heat, extraction, high alcohol and sugar. Sure that may sound like an agglomerated generalization but it is not just the bulk of the 15 plus reds on this release that are guilty as charged. 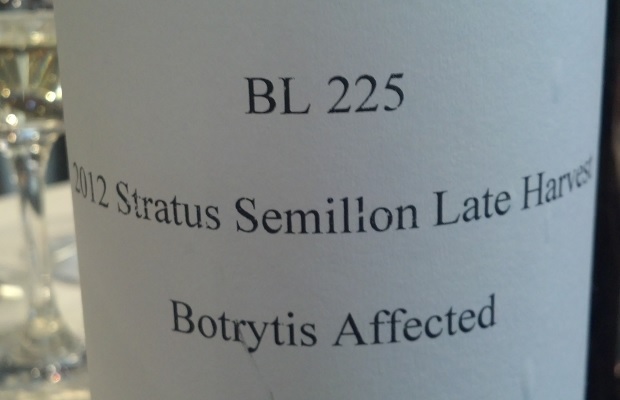 The issue is endemic and has been rising with impunity since the 2007 vintage, arguably even before. What was once a Rhône induced infatuation has rusted and faded away. 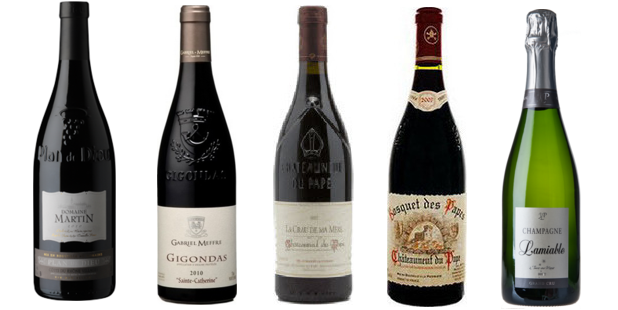 Cellar stockpiling of once beloved Vacqueyras, Gigondas and Châteauneuf-du-Pape has grounded to a halt. How can the love supreme return? There are diamonds in every rough and it is through relentless tasting that the wheat rises, the chaff settles and recommendations make themselves known. I am including a couple of reviews on wines weighed down by the encumbrance of over-ripeness and alcohol, if only to back up the rant and the theory. 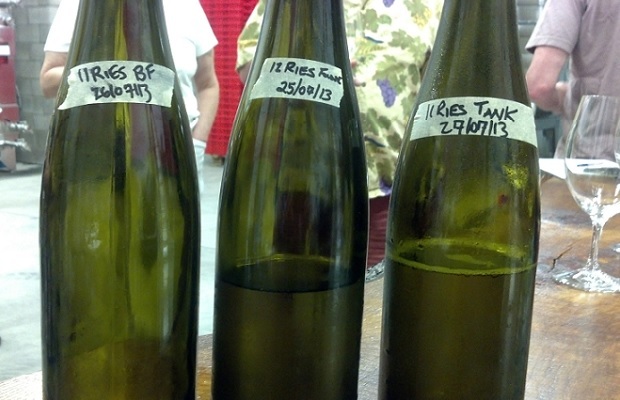 Where have all the good Rhônes gone? My guess is that it’s time to cross the sea and pay a visit, to find the producers who pick early, resist oak-bullying temptation and make honest, balanced wines. I know they’re out there. So behold the Rhônes, some good, some not so much and other necessary May two-four whites to seek out this weekend. 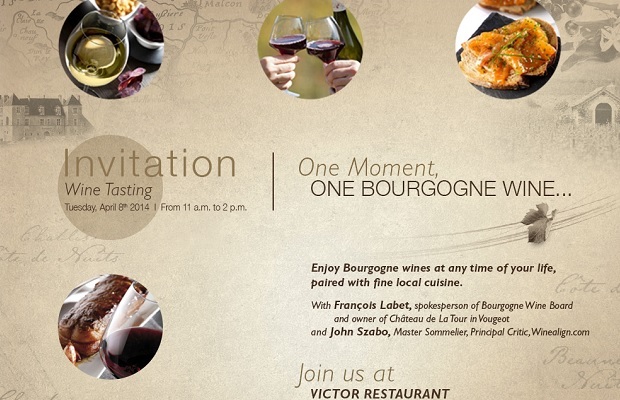 I would never turn down an invitation to taste des Grands Crus de Bourgogne. 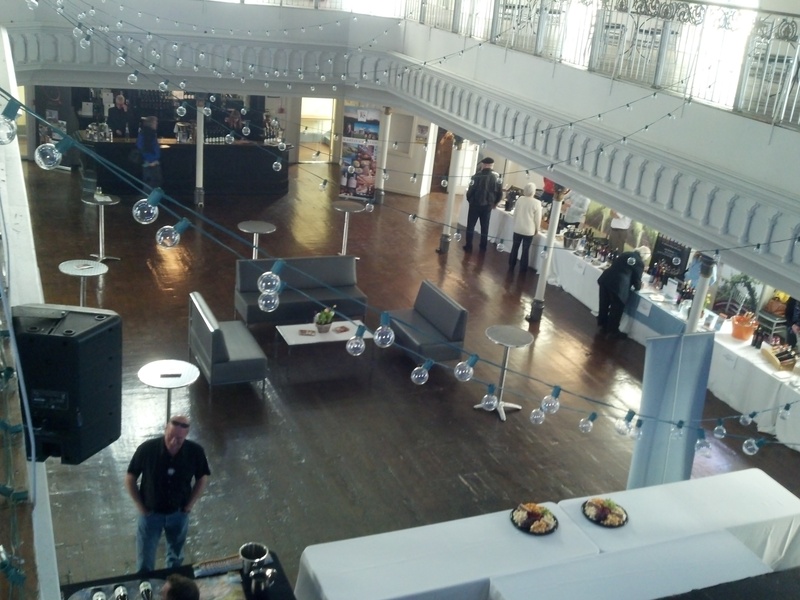 I would not hesitate to partake in a free for all of Premiers Crus. If the call came to experience the village heart and the regional soul of Burgundy’s Appellation wines, I would run, not walk to the show. So, that’s what I did. At the gracious invitation of The Siren Group and Sopexa Canada Ltée I attended the One Bourgogne Wine event at Hôtel Le Germain, along with François Labet, Burgundy viticulture pioneer and chairman of the Bourgogne Wine Board (BIVB) and Communication Commission. 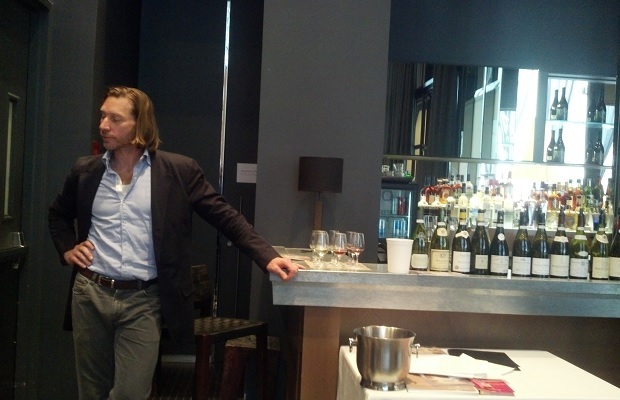 Mr. Labet expounded on terroir; from climats to lieux-dits. 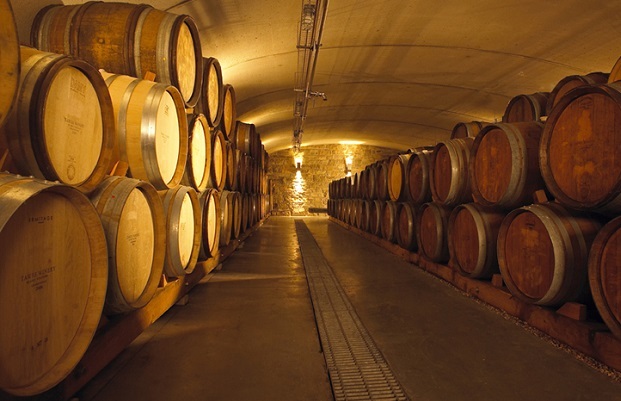 Burgundy is a geographical and geological landscape of Jurassic age and proportion. Its heritage is ancestral and has been shaped by twenty centuries of activity. The appellation d’origine contrôlée (AOC) acts as its guarantor of quality, of terroir, production methods and what typifies the most famous Chardonnay and Pinot Noir anywhere on the planet. 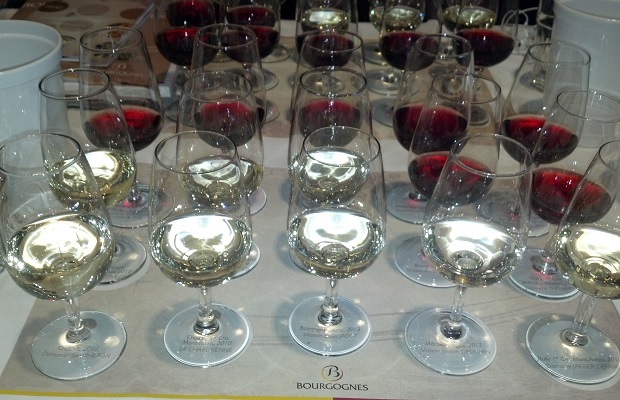 The Bourgogne event was presented and moderated by Master Sommelier and WineAlign principal critic John Szabo. At the heart of the presentation was the regional diversity that defines real and affordable Burgundy. Mr. Szabo’s chosen wines delved deeper into the soul of the village and regional appellations beyond the Côte de Nuits and the most iconic parts of the Côte de Beaune. Textbook examples from Chablis to the Côte Chalonnaise and the Mâconnais were chosen to offer a true representation of the immensity that is the region. The lunch that followed by way of Hôtel Le Germain’s Victor Restaurant was a reconnect for me and the cuisine of Chef David Chrystian. I first encountered chef’s raw and rooted flavours when he assuaged the Garlands at Café Societa on College Street. I remember with fond confusion his earthly layering foiled by the sterile mall, futuristic canvas of the Colonnade (Patriot). 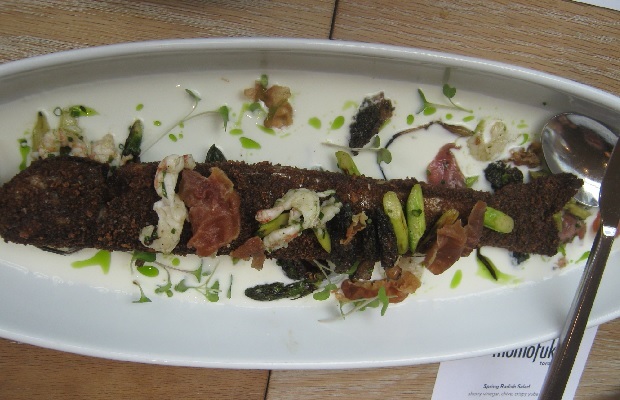 After Chef Anthony Rose left the Drake it was dead to me so mistakenly missed Chrystian’s lauded stint. Thanks to the Siren Group for luring me to Victor to reconnect with Chef David Chrystian once again. 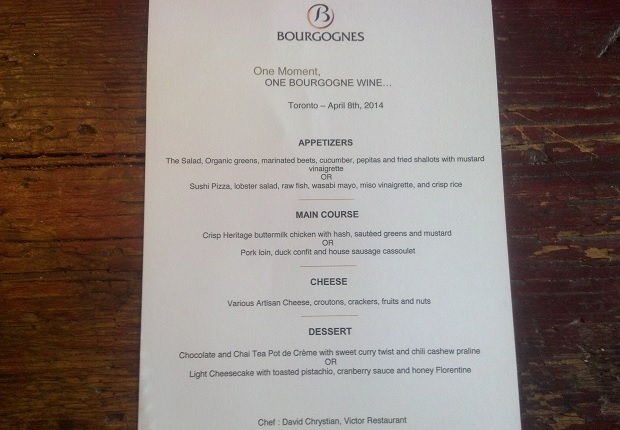 Here are notes on the 15 wines poured and discussed at One moment, one Bourgogne wine. From 45-70 year old vines, from clay and limestone (Marls). Really, really smart, succulent and mathematical Chardonnay. A stony example who’s tangent space is complexified by a vector of gritty, spiked leaden aromas, like lime, ginger and lemon zest but also by a second vector of herbiage, as in torn, sweet basil leaf. Length stretched by a scalar multiplication, engaging another consideration. Would such a fine example not benefit, at least in theory, from a Premier Cru classification? Surely the winemaker and the vintner would abide. The famous “Cras” climat on the windy and chalky plateau of Beauregard means “chalk” in the local dialect. Not surprisingly, the chalky mineral impart takes centre stage and the oak treatment fleshes the fruit out in the early stages of the wine’s life. This Pouilly Fuissé solicits attention, love and engagement. An example in clarity of débourbage, the strict sorting technique employed before pressing. Exuberant fruit acts as if it were of a higher caste, a higher Cru. This is a testament to treatment, to extreme minerality. This makes the expression. A very good vintage, ready to consider and expect it to keep on seducing to at least 2020. The thought here is catholic Burgundy, entry-level, old-school, from antiquity and for the people. Smells like and tastes like grand-père’s Bourgogne Rouge. Cherry fruity, dare I say, Gamay like and marked by tannin that doubles the astringency on the drying finish. Nothing scandalous and well-plundered. The Thénard family has owned land in Givry since 1760 and this Cellier aux Moines vineyard dates to 1258, named by the Cistercian Monks of the Abbey of Ferte. This is iconic 1er Cru for Givry, from relatively old vines (35-40 years) on a single plot, in mid-slope of southern exposure. Straight out notes of sinew, stem and savour. Esses all around. A vegetal and rustic infirmity comes across and travels through the wine as you work with it. Smells oddly like…hemp. 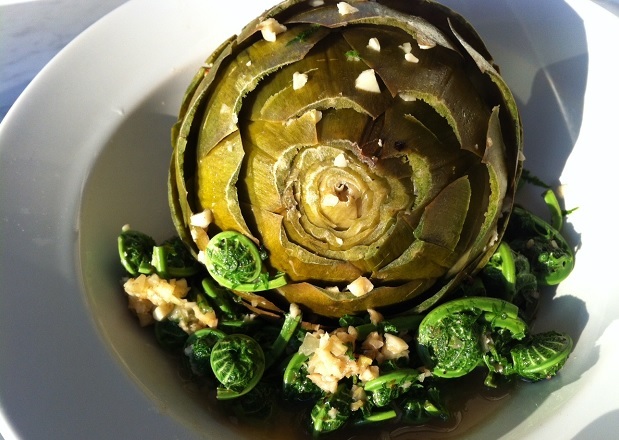 Or perhaps it’s a more delectable weed than that, like rapini, or dandelion. 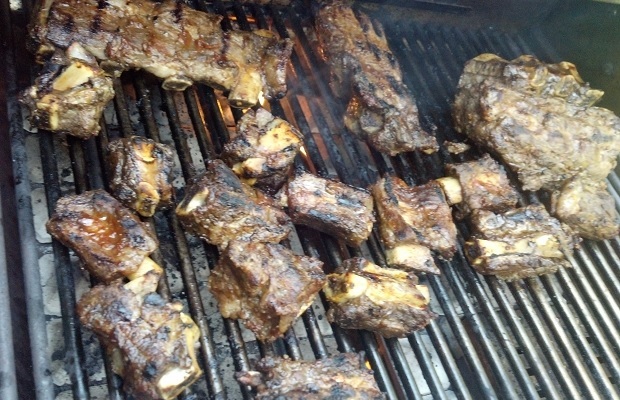 The charred back-end scent reminds of a just extinguished joint. The flavours are dubious, maritime and of the antediluvian earth. For the brave Burgundy heart. 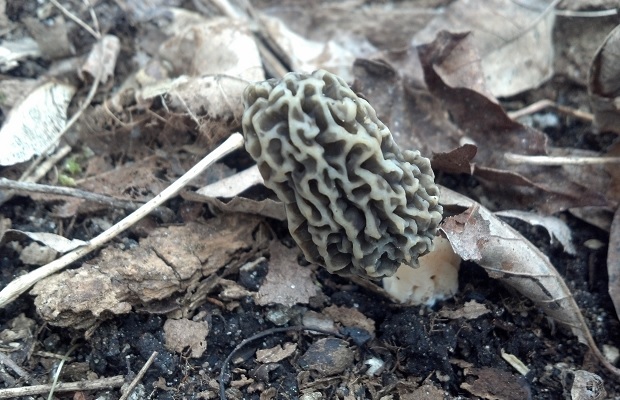 Perhaps five to 10 years will soften its edges, peel away the foreign matter and allow a hidden fruit purity to shine. If today is the day to splurge on red Burgundy but crossing to the dark side of the VINTAGES section is not going to happen, take comfort in this LCBO general (Signature) listing. Dictionary entry actually, but also something funky this way Beaunes. Produced from a whole whack (17 parcels) of Premier Cru, the animal is strong but decidedly feminine. Clear, precise, distinct perfume with each swirl and replayed with every sip. Like raspberries and the sweet smell of the trodden earth after the dew subsides. Could drink this for breakfast with organic bacon post morning stroll and before a dreamy nap. 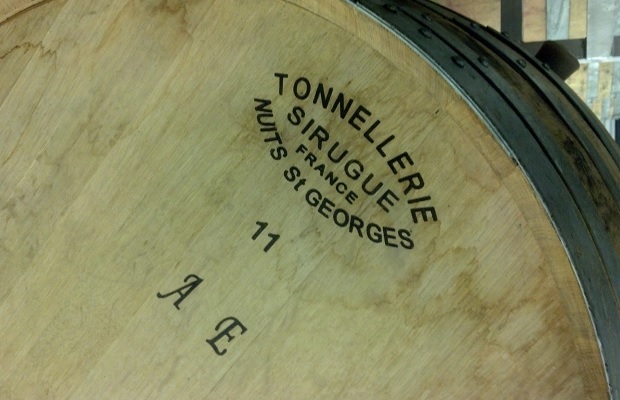 Daniel Rion & Fils Vieilles Vignes Nuits St Georges 2011, Burgundy, France (356600, $53.95, WineAlign) Classic and as representative as it gets for the appellation, this is firm, time-honoured Burgundy. The old vines, the earth beneath its tendrils and the medieval forest are all in the glass. Though terse and tense, this Pinot Noir will come around to fill glasses with humanistic pours 10 to 15 years down the road. That extended wait will be needed to integrate the earthiness into the formidable tannins so that the lurking red fruit can rise to the top. A fine example with a model, lengthy finish.